It’s said that Sarah Winchester was haunted by the ghosts of the many people killed by Winchester rifles, which was owned by her husband’s family. If that’s really how the afterlife works, there must have been a lot of ghosts waiting in line to haunt Henry Shrapnel’s descendants. In 1803, the British Army started using a deadly weapon Shrapnel developed as a lieutenant in the Royal Artillery division. In the two centuries since, that invention has killed or severely injured countless people. Henry Shrapnel wasn’t the first to develop a weapon that scattered lots of small projectiles as opposed to a single bullet, of course. Canister (also known as case) shot, a metal cylinder filled with scrap metal or musket balls, has been in use since the 15th century. In the early 1700s, grapeshot took this concept a step further: metal balls were tightly packed into a canvas bag and fired from a cannon. During the same era, Blackbeard was a fan of a different kind of canister shot called “langrage”—a random assemblage of nails, glass, lead shot, and whatever else could be found around the ship. 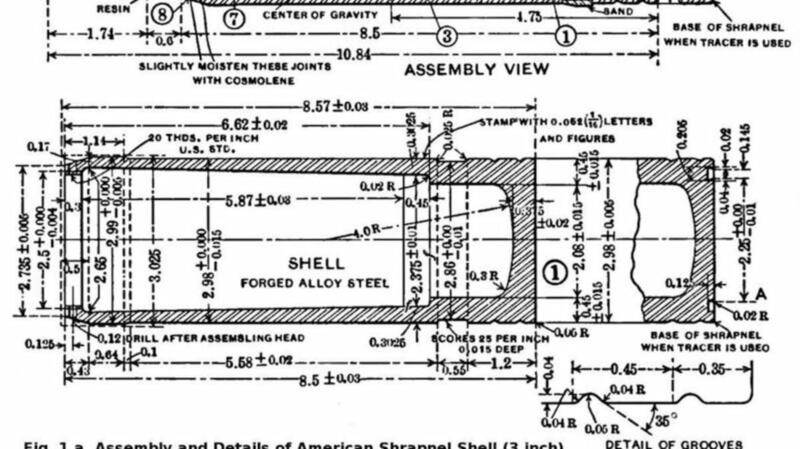 What Shrapnel did was improve upon the design by introducing a delayed-action fuse to the canister shot, which meant the shell would stay intact for a period of time after it was fired. This gave the shell enough time to get to the enemy before it exploded into tiny projectiles, doing the maximum amount of damage. For his innovation, the British government awarded Shrapnel an annual sum of £1200 (about $128,000 today) for the rest of his life. Shrapnel’s basic idea was used through WWI, but by WWII, the military had developed more sophisticated ways of disseminating small but deadly objects. These days, “shrapnel” is more of a genericized term—rather than referring to a specific weapon, most people use it to mean any debris that sprays from a shell.